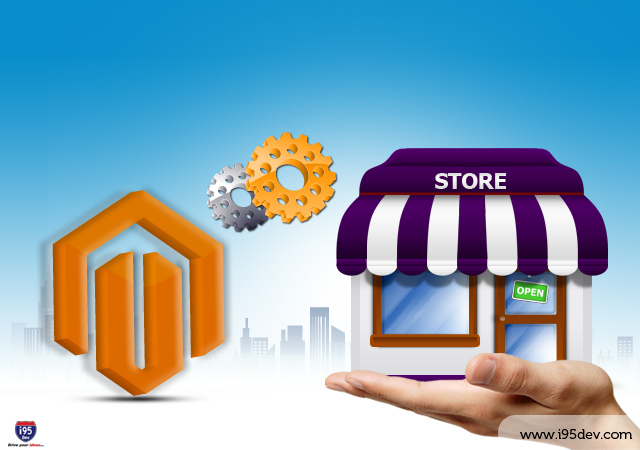 Blog 2:Magento Store Development: Is One Store Sufficient for Your Business? This blog post is a part of the series, “i95Dev Shines the Spotlight on Magento” and offers further discussion on how Magento can benefit your business. Having an online presence for your store has become almost mandatory for the success of your business today. Giving consumers the option to visit your store online from the comfort of their own home and purchase products or simply get more information about your products is vital to your success. This is essential, whether your store is a small mom and pop operation or a larger store with more intricate details. The preferred method to create an online presence by users worldwide is the Magento platform. The Magento store development offers retailers immeasurable benefits on the front and back-end that makes starting or improving your online presence simple and successful. If you are ready to get your online eCommerce store up and running, i95Dev and Magento can offer you an incredible partnership with numerous benefits. Our team of experts is well versed in Magento store development, whether you are starting from scratch or you want to customize the features your eCommerce store already possesses. Our team has a variety of Magento tools at their disposal to offer our clients the utmost successful results, including flexibility and scalability for stores of all sizes. Our experts have more than 10 years experience with Magento, making them your one stop solution for your Magento store development. Our solutions are cost effective and can work around any budget. Your results will deliver an incredible return on investment, including decreased expenses and use of resources, along with increased sales and traffic. If your business requires several online stores, i95Dev experts have extensive experience in Magento multi-store development. This solution is scalable and flexible, allowing you to have multiple stores, each with a different currency and customer base. You can choose whether to integrate your stores or keep them as separate entities. Our experts will discuss your options with you to help you determine the best solution for your business. Creating multiple websites and integrating them into the Magento multi-store development requires the experience and knowledge our experts at i95Dev possess. Our Magento developers offer you choices when it comes to running your multiple websites. Choose one single admin panel or separate panels as you see fit. Our developers will create the scenario that works best for your business. Our experts in Magento multi-store development are happy to discuss your options with you. Whether you desire a single website and single store or you need multi-store development, talk with our developers or contact us to see just how Magento and i95Dev can help you.